Print on various paper types and sizes from 3.5 x 5 inches up to 13 x 19 inches - plus get stunning borderless photos with HP Officejet inks. Maximum letter print speeds up to 33 ppm black, 32 ppm color2. 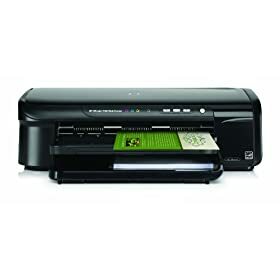 This HP Officejet printer consumes up to 40% less energy than letter-size laser printers5. Save money by replacing only the individual ink cartridge that runs out.